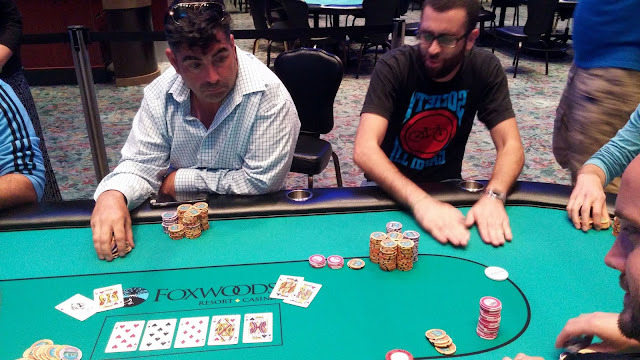 Noah Norick was all in preflop with [9s][9h] and was up against Steven Tabb's [Td][Tc]. 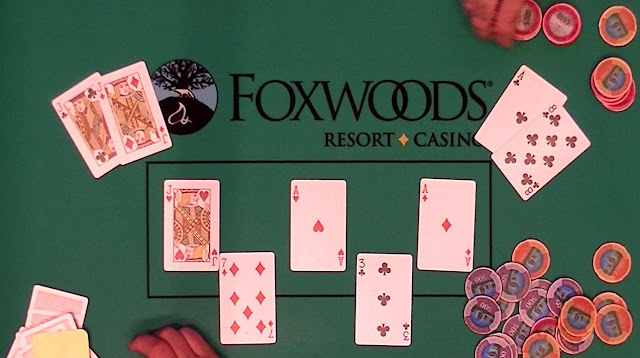 The [Ad][Th][7s] flop meant Noah was drawing only to a runner runner straight. He did pick up the best card he could on the [8h] turn, but the [7h] river just missed himm giving Steven a full house. 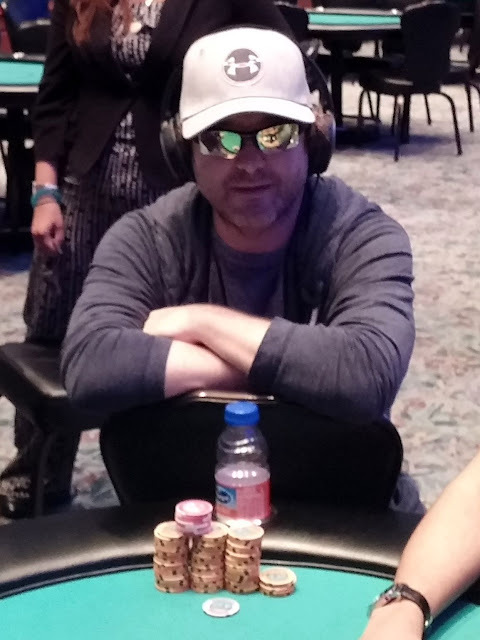 Noah will exit Event #8 in 6th place, taking hom $5,199. Renick Patterson raised on the button and Noah Norick called in the small blind before Tarun G. moved all in from the big blind. Renick snap called and Noah folded, and Renick tabled [Ad][Ac]. Tarun could only show [Kh][Ts]. Kevin Calenzo said, "I have a bad feeling about this" as the [5h][7s][Ks] flop fell. "See," he said, and then said, "running spades?" The [Qs] hit the turn, giving Tarun a mountain of outs. 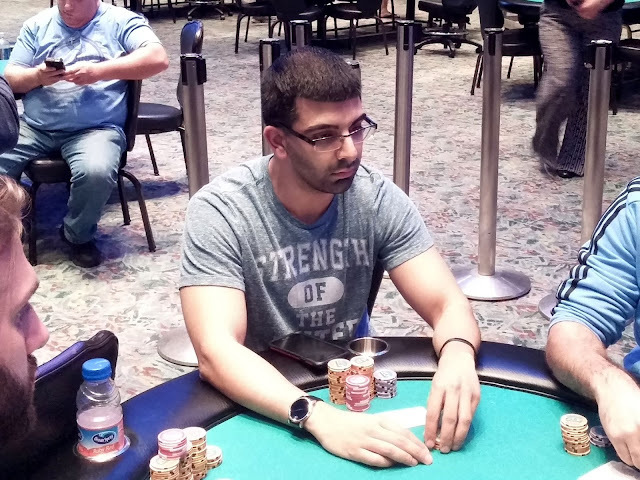 But the [4c] hit the river instead, sending Tarun G. to the rail in 7th place. He will collect $4,006 for his efforts. Out in 7th, sqz shoved KT in the bb over btn open and sb flat, btn had Aces. 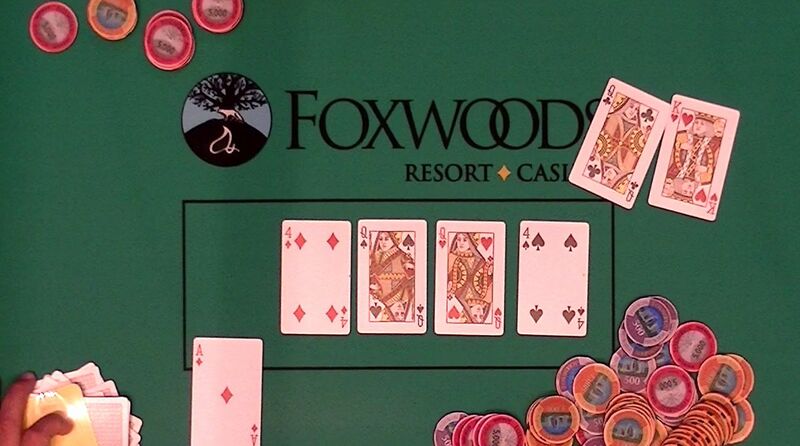 Flopped a King, turned a flush draw but bricked out. Good game! "Another classic," proclaimed Kevin Calenzo as the two were off to the races. The [Qs][8d][Ac] put Steven in front, and no four appeared on the [6s] turn or [2h] river. Grant will be eliminated in 8th place, collect $3,133 for his efforts. 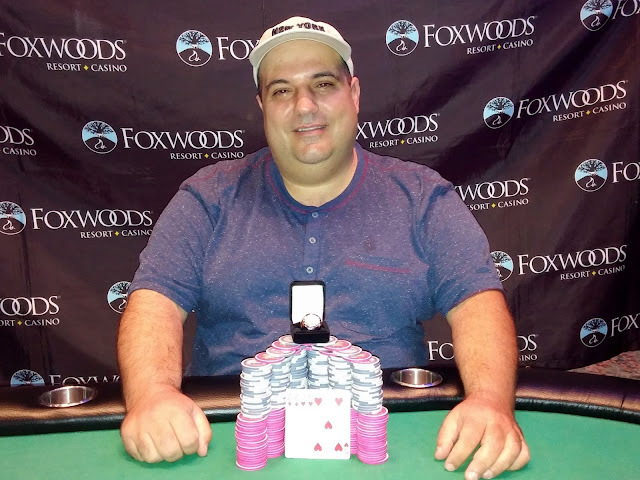 From the button, Mikhail Alkhazov moved all in, and Jason Surro made the call from the big blind. Mikhail held [9d][9c] but was unlucky to have run into Jason's [Td][Tc]. The [8h][4d][Jh][Kc][2c] board could not save Mikhail's tournament life. 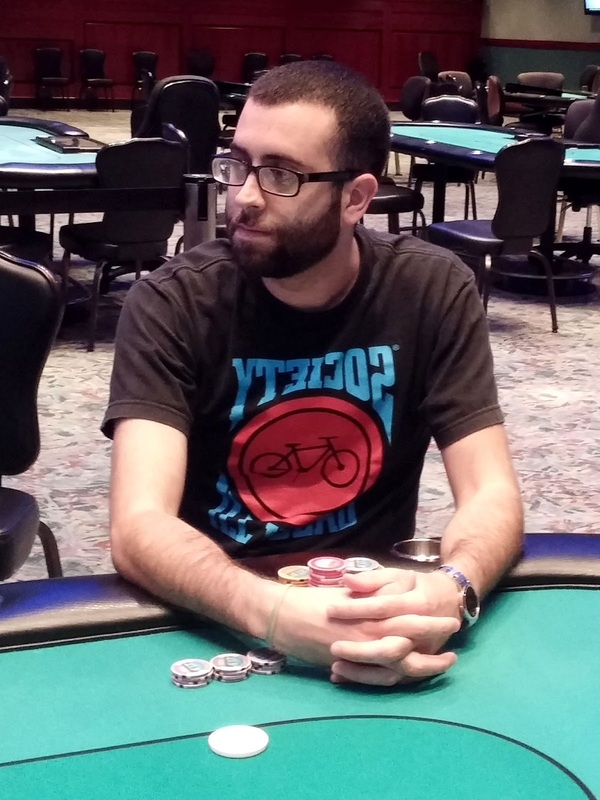 He will exit Event #8 in 9th place, collecting $2,503 for his efforts. At 2,000/4,000 blinds with a 500 ante, Grant Lang raised to 10,500 before Jason Surro rerasied to 42,000. Action folded to Kevin Calenzo in the big blind who declared himself all in. Grant snap folded, and Jason took a moment before calling, asking Kevin, "You got it?" Kevin said, "I have... a hand," as he revealed [Jh][Jc]. Jason was flipping for a tournament life as he held [As][Kh]. The [8h][8s][8d] flop gave Kevin a full house, but Jason was still live with his overcards. The [Qh] brought some chop outs, but the [Ks] on the river gave Jason the winning hand. He will double up to 290,000. On a [Ad][4d][Qs][Qh][4s] board, Kevin Calenzo moved all for 67,000 and was called by Grant Lang. Kevin revealed the [Kh][Qc] for queens full of fours, and Grant mucked. After the hand, Kevin is up to 250,000. On the first hand of the final table, a short stacked Tarun G. doubled up with [Ad][8d] against his opponent's [Qh][Jh]. The last hand just saw Tarun double up again, this time with [Jd][Jc] against his opponent's [Ac][8c], all in on a [Jh][7d][Ah] board. The [3c] turn and [Ad] river gave Tarun a winning full house. 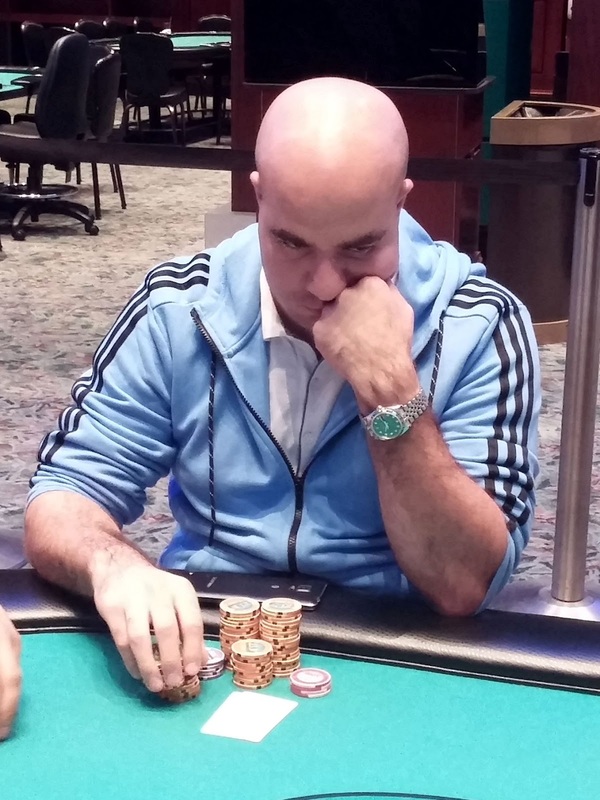 He now sits on 194,500 at Level 17 begins (2,000/4,000 blinds with a 500 ante). John Comeau was all in preflop holding [8h][8c] but ran into his opponent's [Ad][Ac]. John failed to find an eight on the [6d][6s][Ts][Kc][7d] board, and he will exit Event #10 in 10th place. John will collect $2,027 for his efforts. Event #8 $1,125 NLH started with 95 entries and they have just made the money. 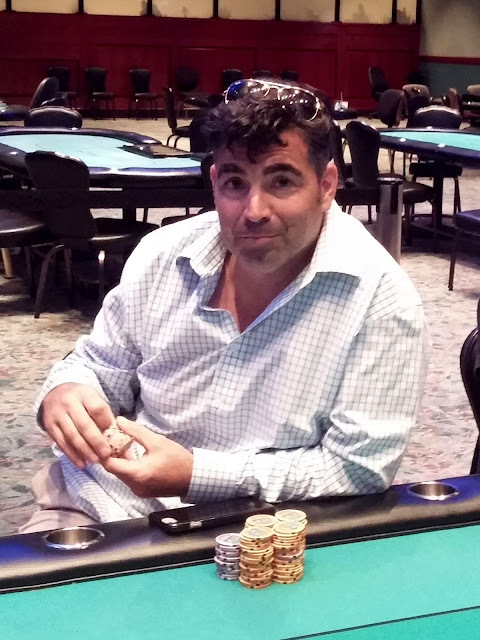 Still alive in the final 12 are Kevin Calenzo and Tarun G.
Since play has gone so quickly, play will continue when the final table is reached. There is a dinner break after Level 12 (approximately 9:30pm). 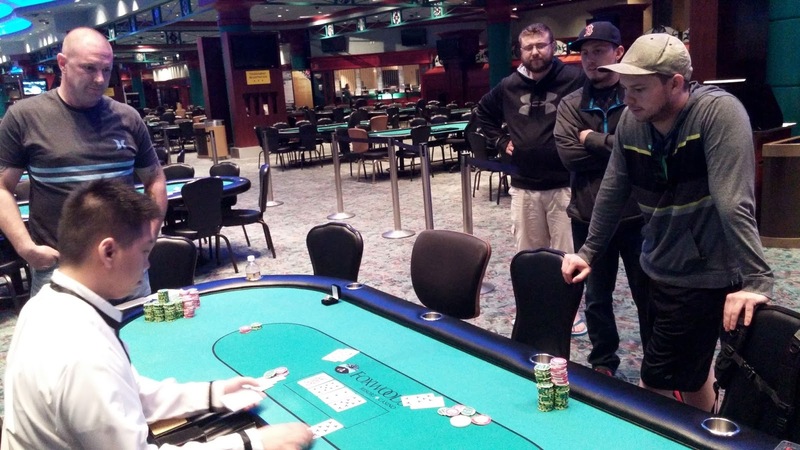 Daniel Pickering and James Karos had been playing heads up for nearly three hours, and the chip lead traded back and forth several times. After coolering James a few hands earlier, Daniel had James all in again with a coin flip. Daniel's [4h][4d] was up against James's [Ah][7c]. James was drawing nearly dead on the [4c][9c][3s] flop, and the [9s] gave Daniel an unbeatable full house. Once the [Ac] hit the river, Daniel was declared the winner of Event #5 $365 NLH Monster Stack. He will take home $27,653 along with the title and World Series of Poker Circuit ring. 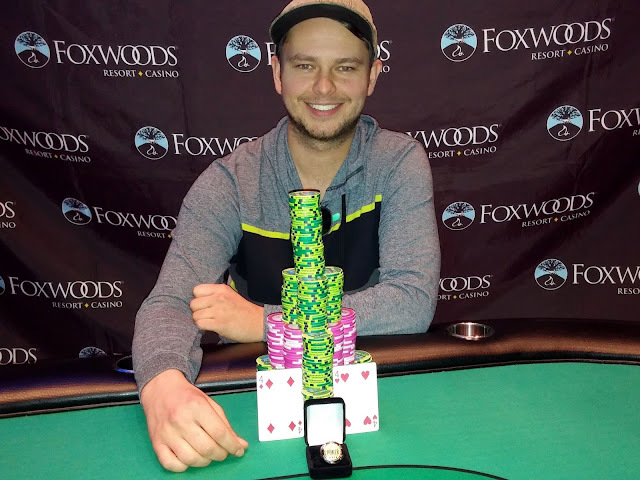 Congratulations, Daniel! 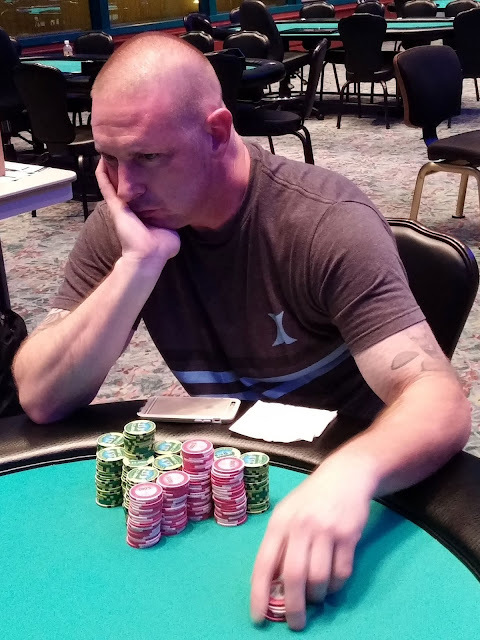 The board read [9d][Ac][5h][Ad][7d] and James Karos had bet out 1,000,000. Daniel Pickering moved all in for 2,900,000 and James called saying, "I hope you don't have the flush." 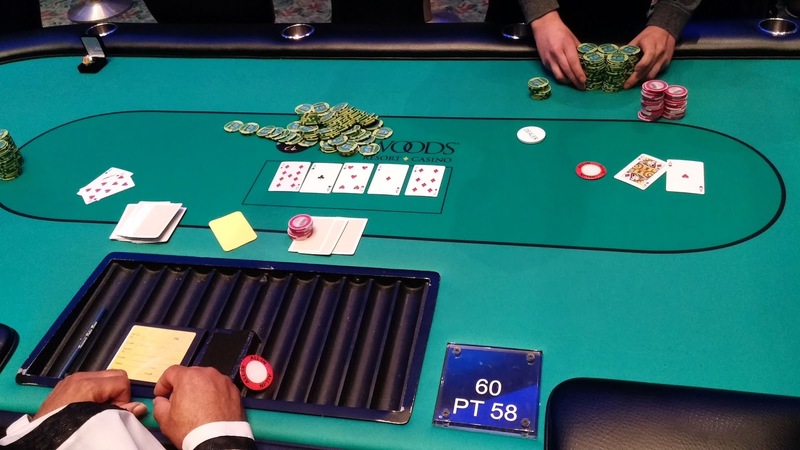 James tabled [As][8h] for trip aces, but Daniel had him outkicked with his [Ah][Qd]. Daniel will double up and take a huge chip lead as James is crippled down to under 800,000. At 60,000/120,000 blinds with a 20,000 ante, Daniel Pickering moved all in for 1,920,000 and was snap called by James Karos. Daniel had the edge with his [Ad][7c] against James's [Kh][Th]. 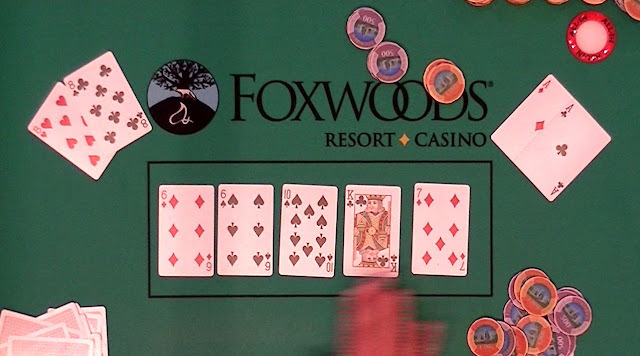 The [Qd][9s][3s] flop gave James ten outs, and the [9c] on the turn changed nothing. The [8c] river was the blank Daniel was looking for, and he will double up to bring this match close to even. A few hands later, the blinds were increased to 80,000/160,000 with a 20,000 ante.